« Guest Author: Mary Margret Daughtridge! The first of my book reviews! I know, finally! Just on a side note all of my book reviews will have BDBR (stands for Bubba Dog’s Book Reviews) at the beginning of the post title followed by the book title and author. 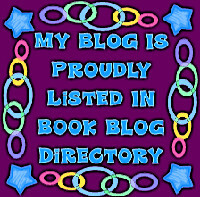 Plus, each of my book review posts will be under the catergory of “Bubba Dog’s Book Reviews” as well as be listed on the Bubba Dog’s Book Reviews Page. When books are written in a series I tend to like to read them in order so I don’t feel that I’m missing something. I honestly didn’t have that problem when reading Rogue. Everything was explained in great detail so I didn’t feel “lost” in the story and feel like I have to read the first two books – though I definately plan to anyway. I found out why brothers, Tychar and Trag were enslaved so long ago along with others from their destroyed planet Zetith and why it was destroyed. The descriptions of the palace, the planet, its people, everything were in great detail. I felt that I was right there in their world, seeing and experiencing it all through the characters/authors eyes. I really enjoyed discovering the world of Darconia – where Tychar and Trag are enslaved. I love being introduced to new unknown worlds. Now when you think of the word “enslaved” you most likely think of it in a bad way which is what I assumed as well but, for being slaves they were actually treated very, very well. I’m honestly glad the author didn’t make them being slaves into a horribly, bad, and depressing part of the story, that would have ruined the story. The world of Darconia I found facinating from their dry, rock infested desert land to their many resourceful products/resources like the glowstones and cleaning cloths – I would explain in more detail why I found these things so facinating but, I don’t want to give too much away. Also that their planet was pretty much inhabited by talking lizard people was pretty interesting as well. I’m not a big fan of reptiles they kind of creep me out so if I would have ever seen them talk it would have taken some getting used to. Now onto the good part, Tychar and Kyra’s romantic chemistry was beyond amazing. You could just feel it crackling and sizzling in the air. It was really funny seeing Kyra struggle with trying not to (pardon my french) jump his bones even though she really wanted to and I found Tychar absolutely charming. I did find it kind of weird to hear Tychar talking about love so soon in the beginning of the book. Usually if a woman even mentions the word love to a man they go running. Well, I guess Tychar isn’t exactly human so it doesn’t count but, still it was really weird. On the other hand Tychar’s brother, Trag he seemed to catch my eye more. I think it was the fact that he was so cocky and had a sense of humor with a temper to match. I tend to be drawn more to male characters with those characteristics for some odd reason. In all, this book was a great read and I definately recommend it. Even try picking out one of the other books in The Cat Star Chronicles series, I’m sure they’re as good as this one. I’m hoping to get my hands on the first two books in the series so I’ll for sure do a review on them when I manage to get my hands on them. You will be expecting a review from the 4th book in the series called, Outcast by the end of the month. It releases from Sourcebooks, Inc. on June 1, 2009! And be sure to check out Cheryl Brooks website for more info on the other books in The Cat Star Chronicles series along with future releases as well! So another new series to check out. Thanks Dani. I’m glad to see that reading this out of order didn’t bother you. I have one on my shelf but I’ve been putting it off since it wasn’t the first in the series.